The English Football Association have charged Manchester United Coach Jose Mourinho over comments he made after United's 3-2 comeback win over Newcastle. The charge comes as a result of what Jose Mourinho said as he walked off the Old Trafford pitch. It is claimed Mourinho said ‘fodas filhos de puta’ which translates as ‘f*** off sons of b*****s’ in Portuguese. The Portuguese manager also wagged his little finger at the camera as he walked down the touchline towards the tunnel. 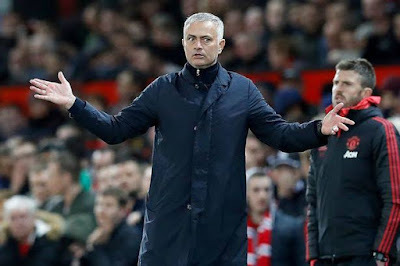 Mourinho has until 6pm on Friday to respond and if he admits the charge, he could be suspended from the touch line for United's upcoming match against Chelsea. The FA said: “Jose Mourinho has been charged following Manchester United’s game against Newcastle United on 6 October 2018. “It is alleged that his language at the end of the fixture, as captured by the broadcast footage, was abusive and/or insulting and/or improper. Back in November 2016, Mourinho was issued a one match touchline ban and fined £16,000 for kicking a water bottle during a 1-1 draw with West Ham. And just weeks before, Mourinho was fined £58,000 and handed a one-match touchline ban after accepting two FA charges of misconduct. The incident Mourinho has been charged with came after his side staged a second-half fightback to beat Newcastle 3-2. 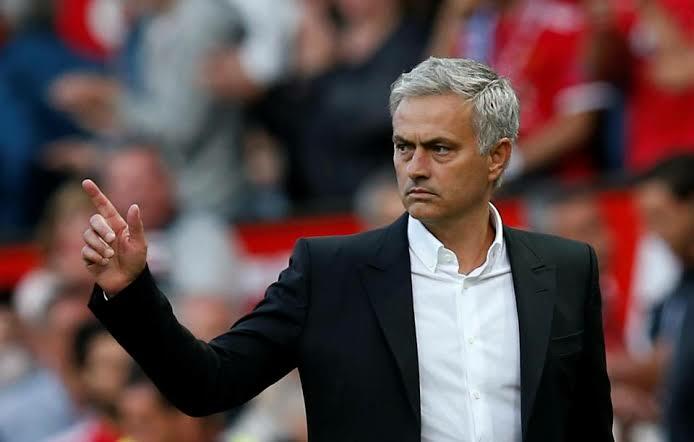 After the match, Jose Mourinho slammed his critics saying: “I am 55 years old. It is the first time I see man-hunting. I can cope with it. "I can live with it. Some of the boys, in spite of them not being the man that is hunted, they are not coping with it. For me it is not easy, too, but I think life is made of experiences. Some are new and some are deja vu. “This is new, it makes me not just a better manager but a better person. I understand things in the human nature nowadays and in the industry where I work, I used to love it, I still love it, but it is different. Premier League - Latest Transfer Update! !